Darian Edwards is on a one-man crusade to rid North Baton Rouge of drug dealers, black-on-black crime, and illegal foreign workers who take the jobs of poor people. 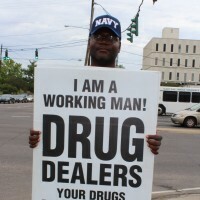 Darian, who works full time, spends much of his free time carrying signs at the intersection of North Foster and Gus Young, North Foster at Florida, downtown, and on the campus of Southern Universty. 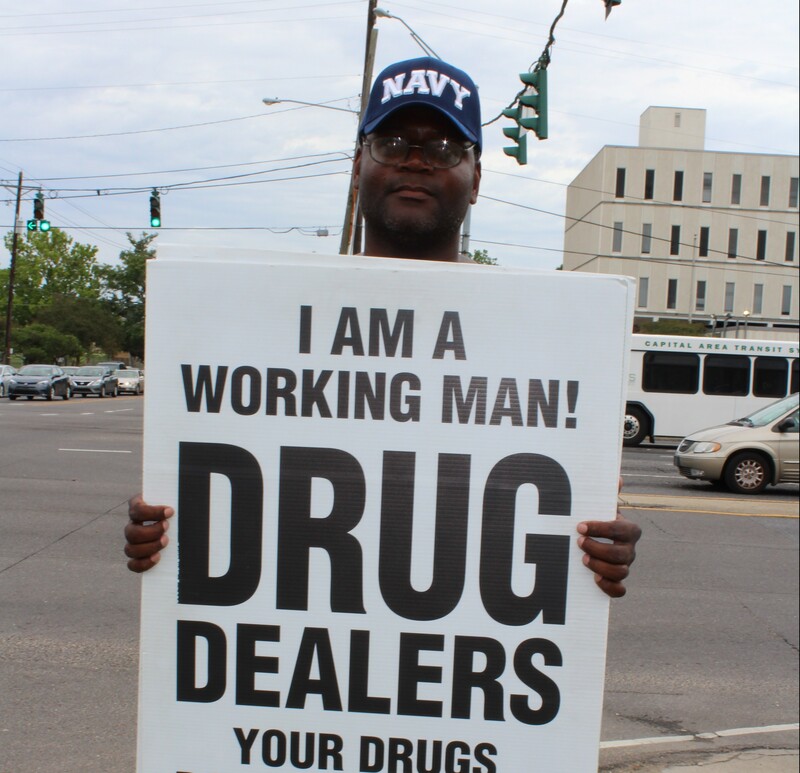 “I’m asking people to take a stand against drug dealing and for jobs, peace, and nonviolence!” he said. Edwards said he gets mostly a positive response, but while standing on the corner of North Foster and Florida one afternoon, this reporter saw him attacked verbally and physically. A carload of young women who stopped at the light pelted him with obscenities. A few minutes later, a panhander lunged at him with a knife. We videoed the attack, filed a report with City Police, and told them the video existed, but the police never contacted us again.